We are thrilled to share the news of a revitalized Crowne Plaza Dublin! Be among the first to experience our renovated hotel rooms and enjoy a truly relaxing stay on your next visit to Dublin Ohio. The hotel has completed a comprehensive renovation of our guest rooms and you're invited to come and experience the best hotel in Dublin. The newly renovated Crowne Plaza® Hotel Columbus - Dublin, Ohio is a wonderful place to stay when you're in the area for business. We're near companies like OCLC, Ashland, IBM, Honda and Verizon, Cardinal Health and we're considered "The Place to Meet" with 14,000 sq ft of meeting space and perks such as a two-hour RFP Response Guarantee that many hotels in Dublin, Ohio can't beat. You also have free shuttle services with-in 5 miles of the hotel. 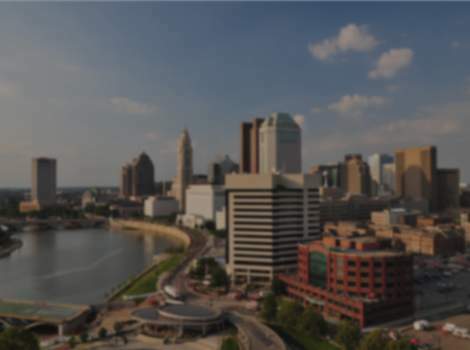 Columbus, Ohio is just minutes away, so attractions such as the Columbus Zoo, Ohio State University and the downtown nightlife all within reach. Closer to home, you can go shopping at Tuttle Mall, dine at unique eateries or browse antiques shops near the hotel. In Dublin, it's easy to enjoy Irish culture by attending events like the Dublin Irish Festival or eating at a local pub. No matter what brings you here, your stay will be great thanks to our amenities like the newly expanded and fully renovated Fitness Center, indoor pool, free shuttle and the Crowne Plaza Sleep Advantage® Program. Make your reservations at the best hotel near Columbus, OH.